The easiest way to record, edit and enhance your sounds! Swifturn Free Audio Editor is a Digital Audio Workstation that helps you record audio from any available input device, edit audio files visually and apply various audio effects. It's a free audio editor that provides many practical tools for both advanced and preliminary users to get what they need. Creating fantastic music masterpiece at home is no longer a hassle! ...... or harmful components. It will not limit you in any way. This is freeware of new level, which offers a quality alternative to paid products, no hidden cost, no auto renew, no conditions apply, none whatsoever. 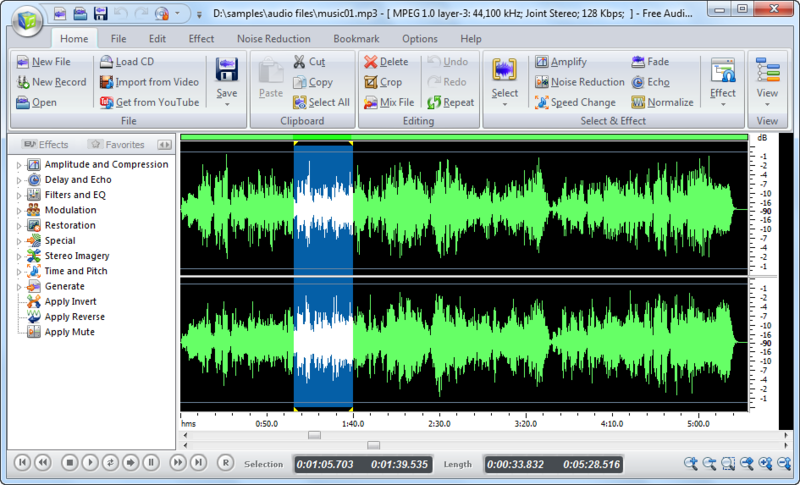 Swifturn Free Audio Editor records audio from a microphone, online streaming and many other sound sources. You can save the recording as WAV/MP3/WMA/OGG files with top quality. It helps you digitize old cassette tapes as well as capture the sound from DRM protected music. Qweas is providing links to Swifturn Free Audio Editor 7.3.1 as a courtesy, and makes no representations regarding Swifturn Free Audio Editor or any other applications or any information related thereto. Any questions, complaints or claims regarding this application Swifturn Free Audio Editor 7.3.1 must be directed to the appropriate software vendor. You may click the publisher link of Swifturn Free Audio Editor on the top of this page to get more details about the vendor.